I’ve been all about the winter getaways the last few weeks, which is great, because we’ve been going through Polar Vortex after Polar Vortex here in Toronto, and it’s been hard to be motivated to walk to the subway station to get to work every day, let alone leave my house for any other reason. 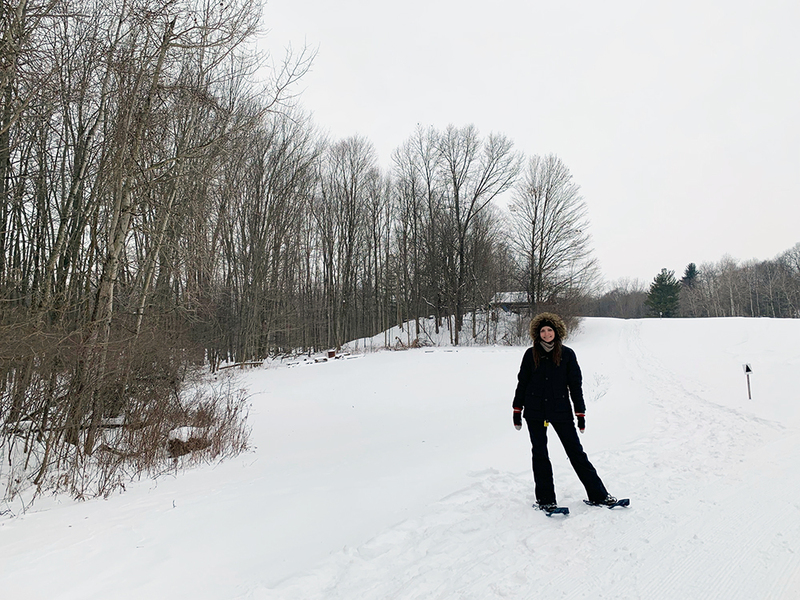 Sometimes you need to have fun activities and getaways planned in order to feel like there’s a chance you’ll survive winter. 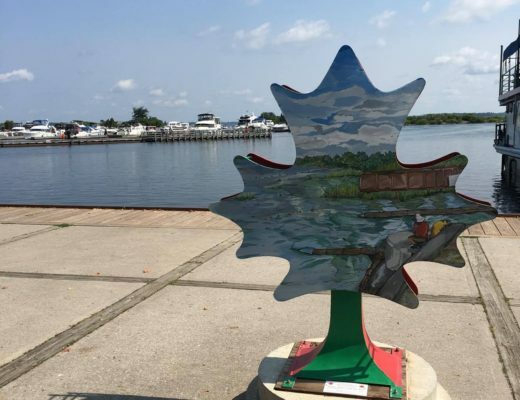 This past weekend I headed to Middlesex County, which is an area in Southwestern Ontario, that’s primarily rural, with its main city being London, Ontario. 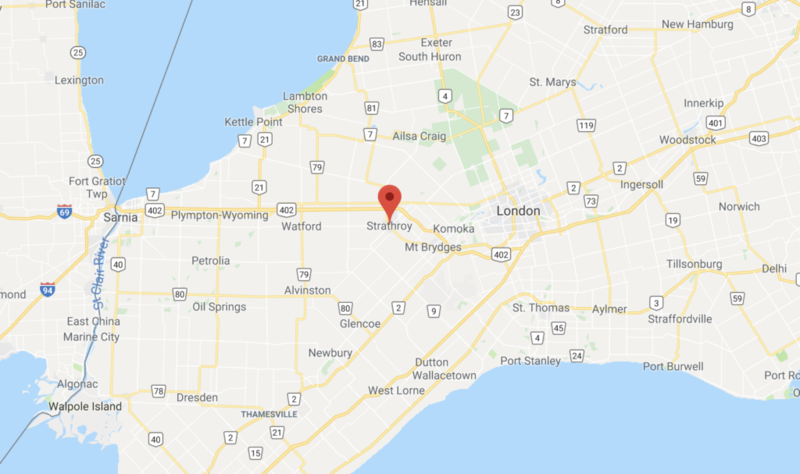 I spent my time in the township of Strathroy-Caradoc, which is a municipality about 35km west of London, and just over two hours from Toronto. It’s rural and small, with a population of only about 21,000, and it was the perfect spot for a getaway out of the busy city. 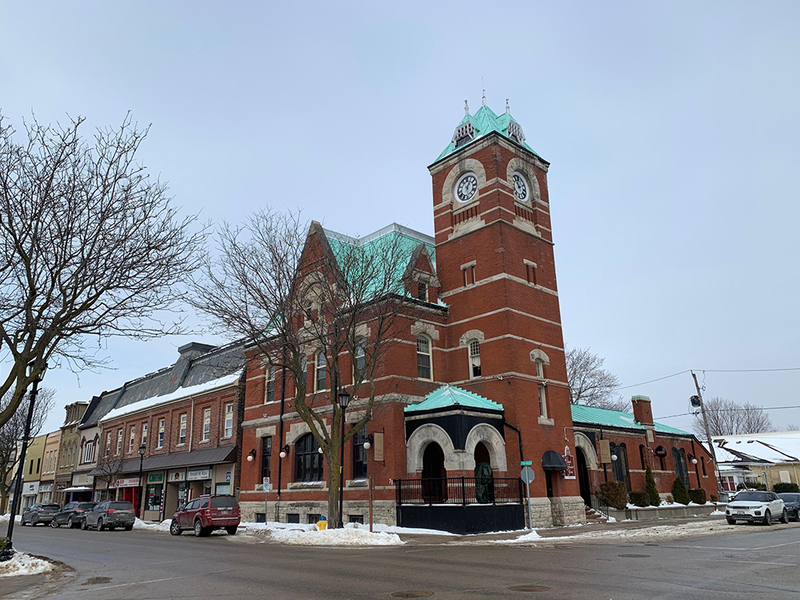 Smaller towns don’t often have a ton of options for places to stay, however, we based ourselves in Strathroy and stayed at the historic, Clock Tower Inn. This inn is situated downtown and was constructed in 1889 by the famous Thomas Fuller, the architect who designed the Parliament Buildings in Ottawa. The Inn offers 8 guest suites, all with their own bathroom, electric fireplace, and we even had a shared kitchen space on our floor. Downstairs you’ll find a restaurant that serves excellent food. ​Rooms at Clock Tower Inn start at $139 CAD on weekends and $119 CAD on weekdays. More info here. Legit this may be my new favourite place. S.A.M.Y.’s offers private experiences with their super cute alpacas. You can feed them, and even take them for a walk. They’ve trained them to walk on a leash! On top of that, they offer workshops in their fibre studio to make crafts with the super soft and warm alpaca hair. 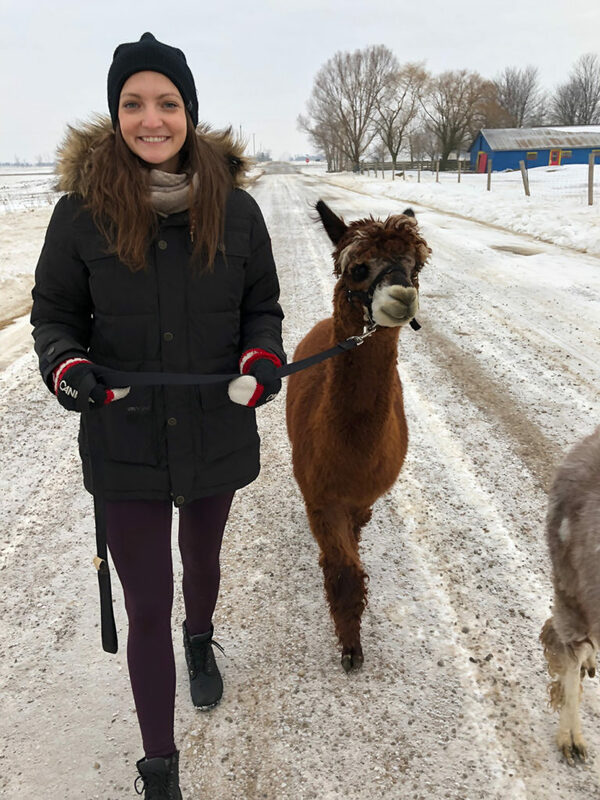 Alpaca walks are $15 CAD per person, workshops are $15 CAD per person, and they also offer a training session where you can learn to train alpacas for $10 CAD per person. Visits are by appointment only. Circle R Ranch offers cross country skiing and snowshoeing in the winter. 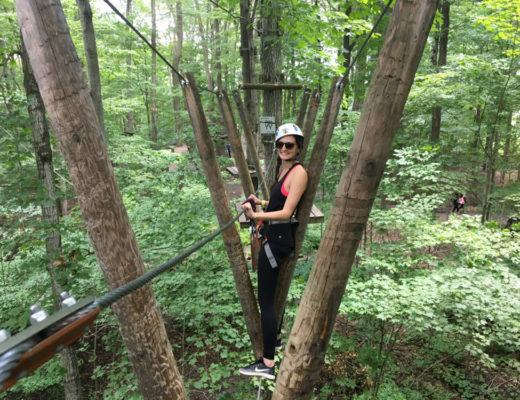 They also provide rentals for equipment, and in the spring and fall they offer horseback riding. 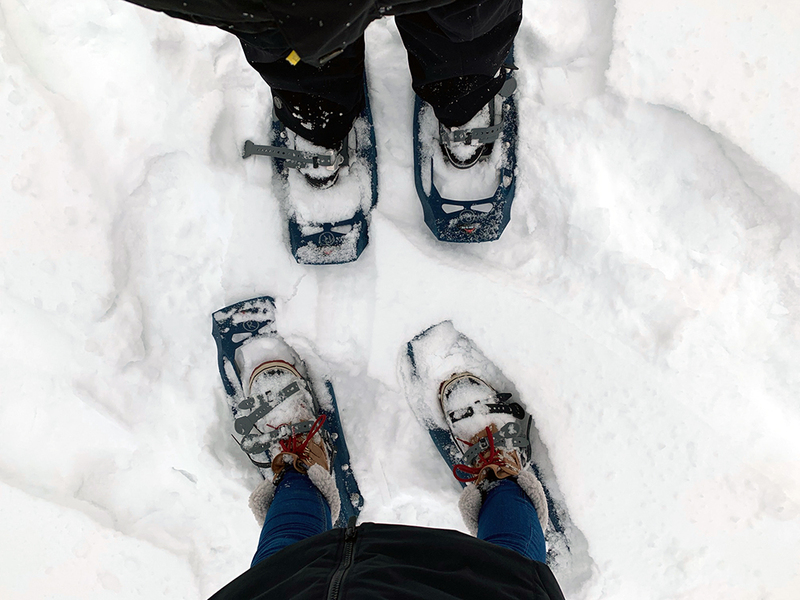 Grab a pair of snowshoes, and head out on their beautiful trails for the afternoon. Prices for trail passes and rentals are available here. 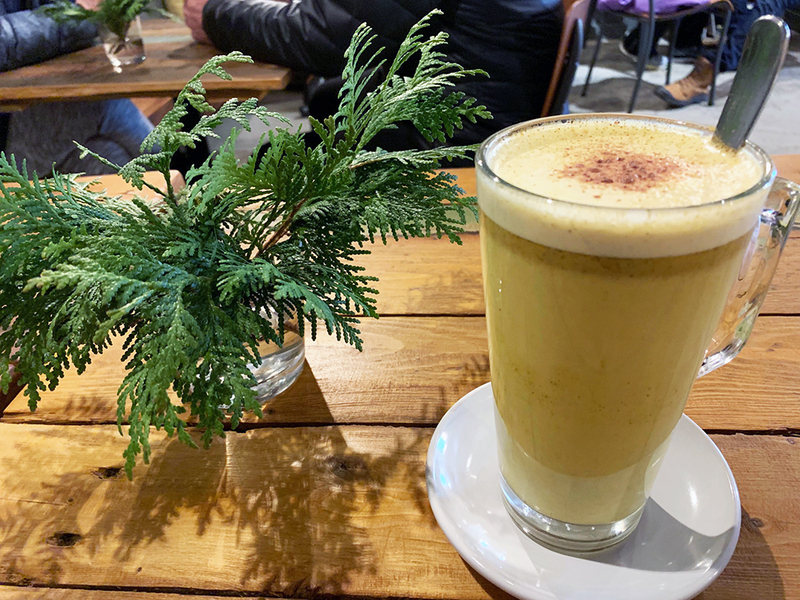 In each of the small towns that make up the area of Strathroy-Caradoc, there are a ton of little locally owned shops that you can spend your time weaving in and out of. 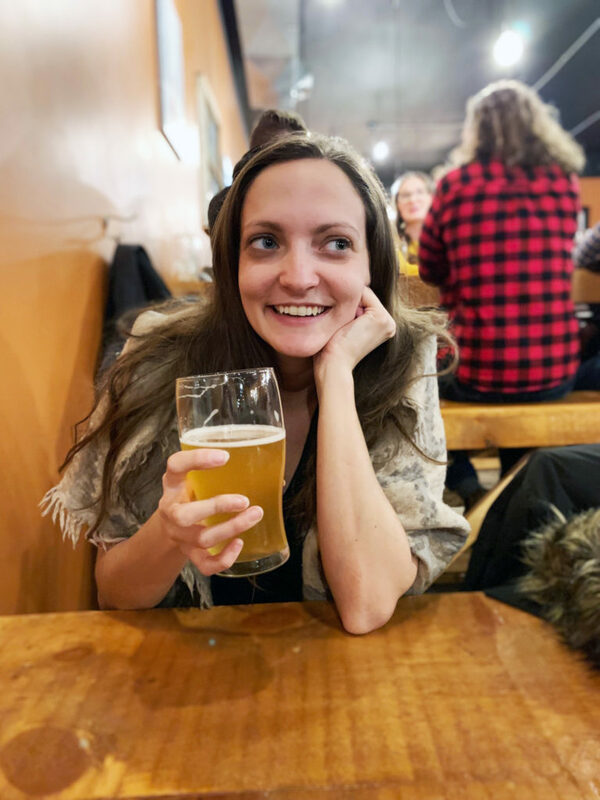 This local brewery opened its doors in 2017 and serves homemade craft beers, alongside some great pub food. Try their yummy giant pretzels! The go-to spot for friendly service and Portuguese cuisine. 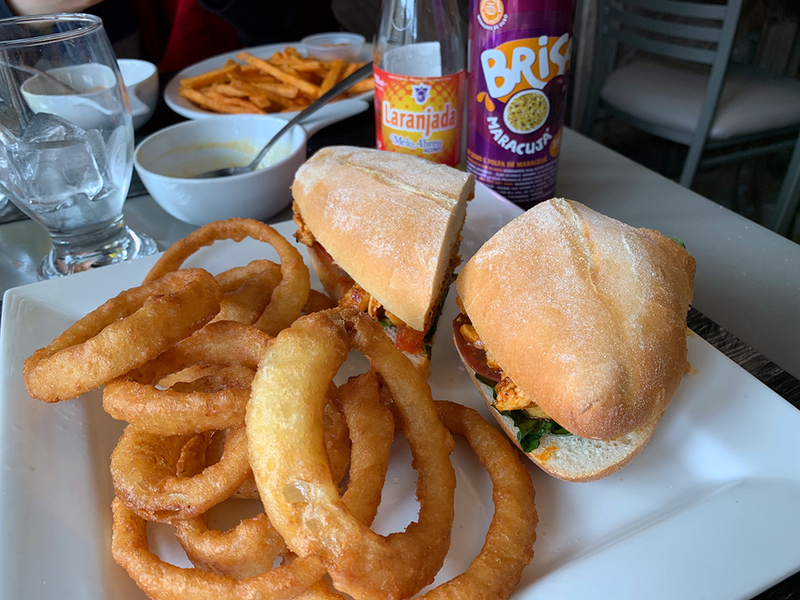 I tried the recommended Portuguese chicken sandwich. Go-to spot for coffee in the area. Try their organically-grown, ethically traded coffee, paired with one of their many snacks or treats. Their spinach dip panini is super yummy! In the Clock Tower Inn, there’s a great restaurant to enjoy a range of menu items. 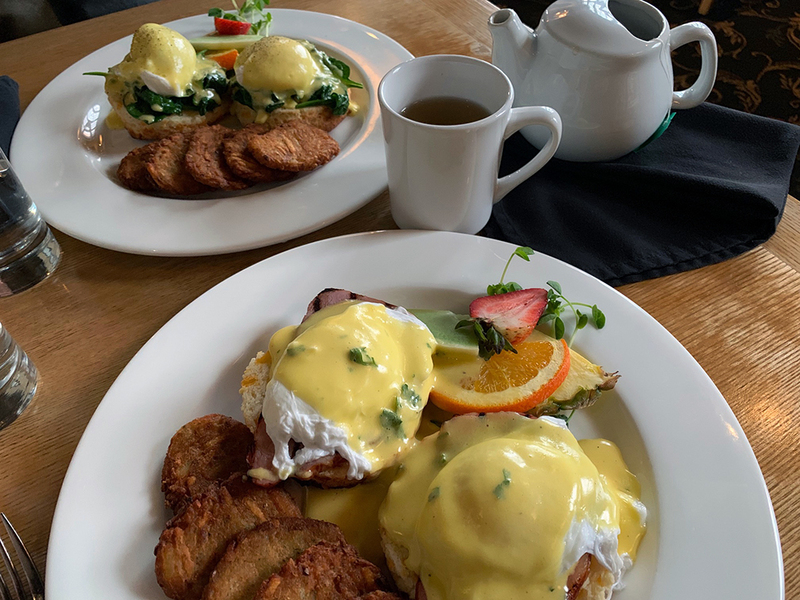 We went for Sunday brunch and they had a list of over five different kinds of eggs benny which were amazing! 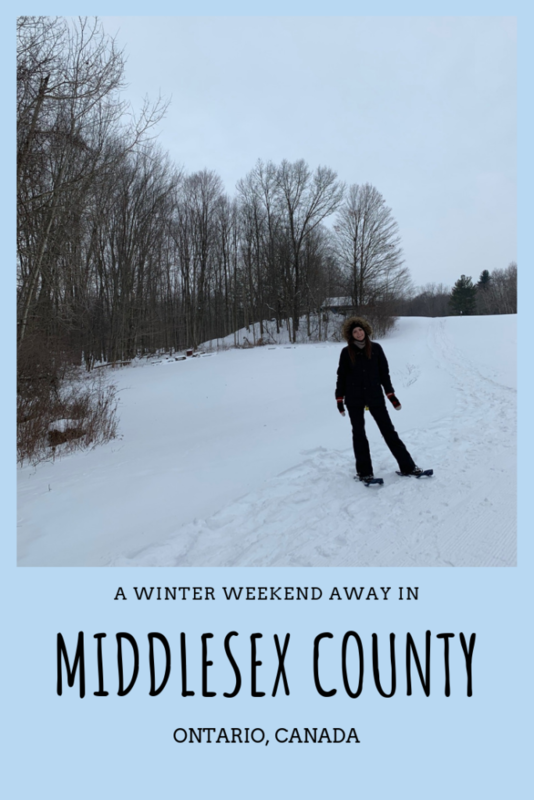 My time in Middlesex County was the perfect winter escape from Toronto, and I can’t wait to go back, especially to see the alpacas ;)! 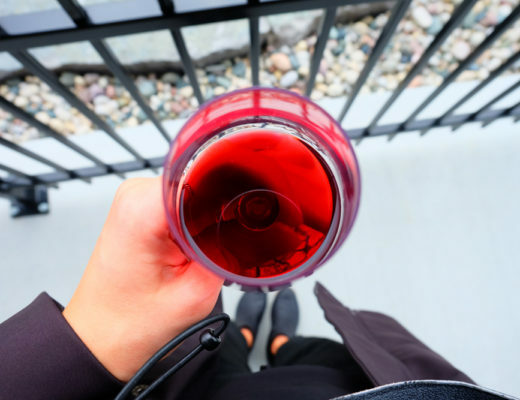 Disclaimer: My weekend was hosted by Visit Middlesex & Ontario’s Southwest to write about my experience, however I only write about things that I enjoyed and would recommend to others. All opinions in this piece are my own and 110% honest.